If you love performing already or would just love to develop more confidence, then this 3-day workshop is for you! Singing, dancing, movement and stagecraft are all included in this fun, interactive holiday programme for children 8 – 15 years of age. 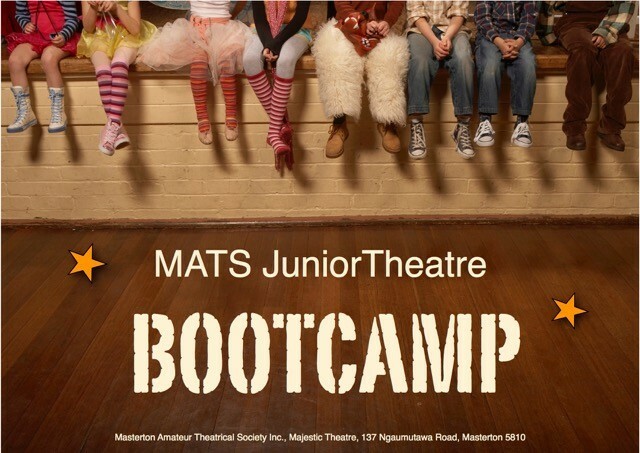 So if you want to get off the couch or away from the screen, come along to Bootcamp and enjoy the real theatre experience. There will be a performance opportunity for all participants on Wednesday evening to which family and friends can be invited to attend, to celebrate and acknowledge the work achieved. Entry will be by gold coin donation. All enquiries to Wendy McLennan: email mclennan.gary@xtra.co.nz or phone evenings 06 377 4623.